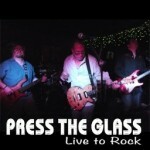 Thank you for your interest in booking Press The Glass to rock your venue! We have prepared this digital promo pack as an opportunity for you to discover how good and talented our band is. 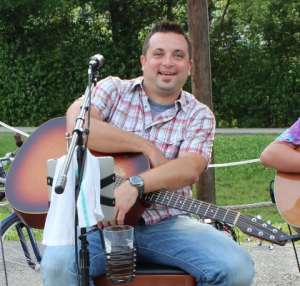 We truly look forward to playing your venue or event! After checking out this page, when you are ready to book Press The Glass, simply click ‘Click to Email Us’ at the upper-righthand corner of the screen and let us know your venue and the date you’re insterested in booking. Or feel free to give us a call. We’ll get right back to you! Below you will find our demo, which is a collection of actual live footage of us playing. While studio demos are good, we feel that it is most important for you to get a true sense for the quality of our presention by seeing and hearing us play live. We’ve got tons of professional experience, and it shows in our work and history. We’ve provided the pre-game entertainment for Colt’s games at Lucas Oil Stadium, and have travelled around the midwest for events and venues. Let’s take a slightly different approach, and have a little fun! Let’s talk about some things that, while someone is watching a band at your venue, would make that person think “wow, this band is awesome!”. Our lead singer, Mark, is just that. He sings 45 songs a night, doesn’t stray out of key, and has a range from Johnny Cash to Sebastian Bach of Skid Row. You will be blown away. Press The Glass only uses the best. The sound/lights company that we use truly understands how to mix for any room. Mark Hill, our main sound guy, is the best in the area. A band’s drummer is key. How many bands have you seen where the drummer was all over the place with rhythm, tempo, etc. Our drummer, Preston Nash, is a professional drummer who has toured world wide with a variety of bands. Look him up on YouTube…you’ll be blown away! We pick songs that rock. We pick songs that people will enjoy listening to. Period. If the crowd is dancing, we are experienced and professional enough to keep it going. Wasting time between songs is unprofessional and unpresentable. Press The Glass rocks from one song to the next without missing a beat. We keep the party going! We are dedicating 100% of our energy to your club or venue on the night of our show. We talk about the food, drinks, and encourage the crowd to engage with your staff and board of fare. Ok, it’s time to reach out to us. We look forward to hearing from you!